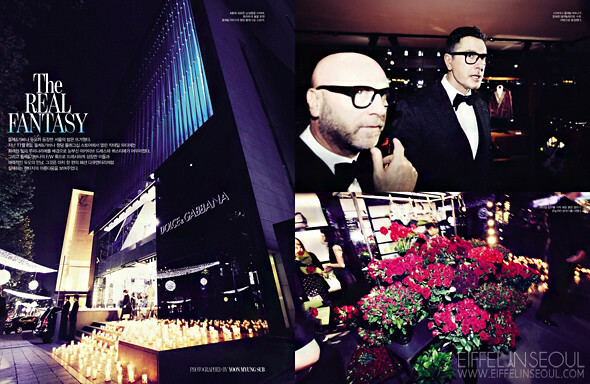 Back in November, the designers of Dolce & Gabbana were in South Korea to attend the new store opening of Dolce & Gabbana located in Cheongdam-dong, Seoul. Designers, Domenico Dolce and Stefano Gabbana also hooked up a shoot with actress Soo Ae (수애) for Vogue Korea December 2011, photograhed by Tae Woo. Check out the images! 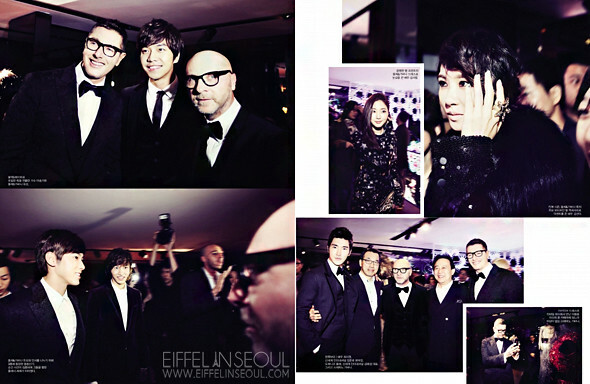 Also, check out pictures from the store opening party from W Korea December 2011.